For some reason I call them horse blankets. . Meant for single beds but fine used sideways on a double bed for an extra layer. Let’s be honest you’re probably buying it for your a)sofa b)cat c)dog or d)horse which is fine. 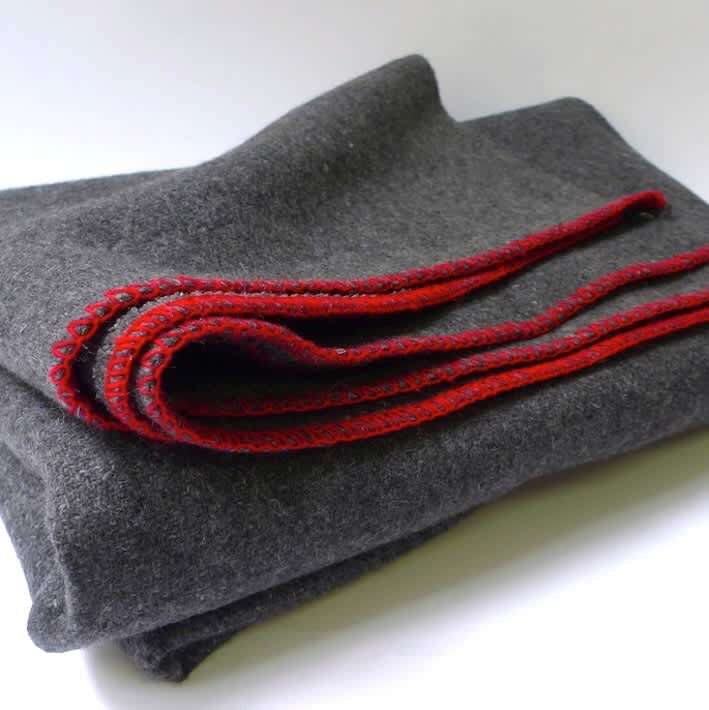 Handsome charcoal grey with red blanket stitching on the edge.